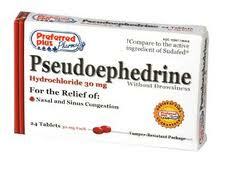 Aizawl, Apr 24 : A commerce graduate from Mizoram has been arrested in connection with the seizure of Rs six crore worth banned pseudoephedrine tablets here allegedly from the son of a former Congress MLA. Henry Lalremsanga, whom police described as the kingpin of the gang, was arrested yesterday. "He was coming from Mizoram and is involved in illegal trade along with Arvind Ahuja, son of the former MLA Ashok Ahuja, and his driver Manish who were arrested yesterday from the capital with 2,51,680 strips of pseudoephedrine tablets," police said. According to Additional Commissioner of Police (crime) Ravindra Yadav, the trio allegedly supplied pseudoephedrine based tablets in Mizoram and other states of North-East India and Myanmar. Henry allegedly contacted Ahuja, a whole sale distributor of medicines, for supply of the drugs. Ahuja placed orders to pharmaceutical companies for the drugs and other medicines and after procuring he supplied it to Mizoram on his directions. Henry, a commerce graduate, came to Delhi in 2003 and worked in various banks and later shifted to property dealings in the NCR region. Yadav also added that Ahuja used to get huge commission on the transactions. He fell for this lucrative proposal and started supplying the contraband.